This is the first time both PR1MA and MIP cooperated together to organise a township ideas competition with the objectives to encourage young and creative minds in designing neighbourhood and township, including to identify potential research proposal to investigate the community issues and developing new ideas in planning for PR1MA neighbourhood and township. 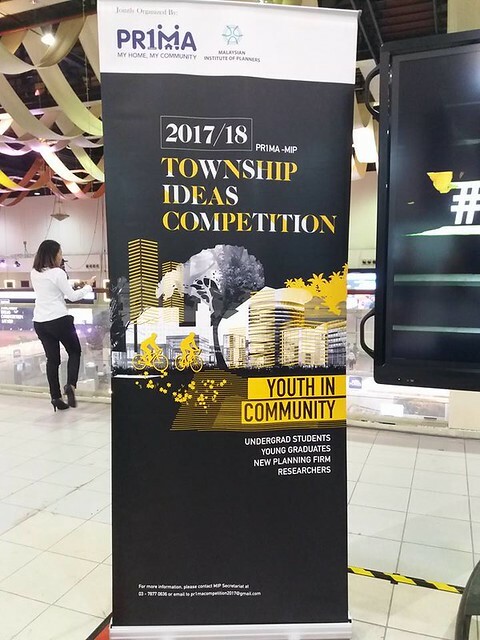 The competition launched on 12th September 2017 and consisted of 4 categories, namely Category 1: Neighbourhood Design Ideas for Students, Category 2: Township Design Ideas for MIP Young Graduate, Category 3: Green Township Design Ideas for MIP New Planning Firm and Category 4: PR1MA Research Proposal. The competition saw participations from various universities and institutions with different backgrounds and expertise. Out from ten (10) groups from UTM, two (2) groups were selected to compete in final round under Category 1 and another (2) groups from UTM selected to the final round under Category 4. The judges comprised of members of the architectural/planning professionals, universities, consultants and corporations in Malaysia. 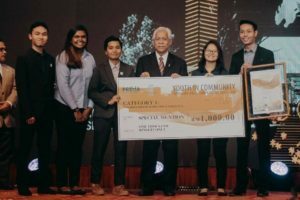 The award ceremony was launched and officiated by Minister of Higher Education, Dato’ Seri Idris bin Jusoh, accompanied with Chief Executive Officer of Perbadanan PR1MA Malaysia (PR1MA), Dato’ Abdul Mutalib bin Alias and President of Malaysian Institute of Planners (MIP), TPr. Hj Ihsan Zainal Mokhtar. 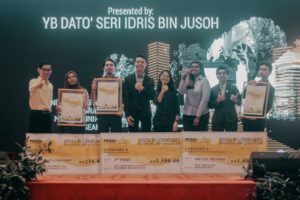 For Category 1, team comprising Wan Muhammad Aqib bin Wan Mohamad Ahaary, Josephine Lee Siaw Ling, Nuraqilah Najwa binti Mustapa Kamil, Amirul Afiq bin Jamaluddin and Nagananteni A/P Subramanian won Special Mention award and received RM1000 and certificate. 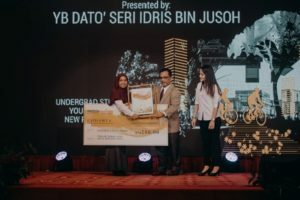 Team comprising Hayati binti Kuneh, Mas Ayu Aziera binti Masri, Nur Syahirah Haziqa binti Adnan, Syarifah Jamiamirah binti Syed Jamaluddin and Wan Jushamilla Husna binti Wan Ab Jamil were shortlisted to the final round and received certificate. 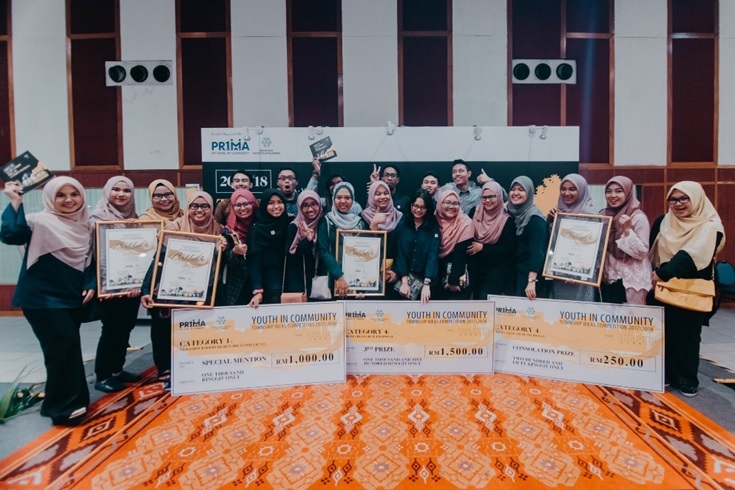 Students from International Islamic University Malaysia, Universiti Sains Malaysia and Universiti Malaya won the 1st prize, 2nd prize and 3rd prize respectively. On the other hand, for Category 4, team comprising Mohd Jamsyeer Khan bin Jalaludin Khan, Dr. Siti Hajar binti Misnan and Assoc. Prof. TPr. 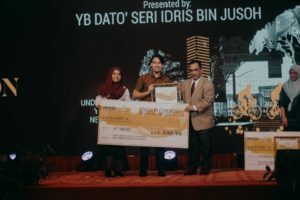 Dr. Hairul Nizam bin Ismail won 3rd prize and received RM1500 and certificate. Meanwhile, team comprising Dr. Siti Hajar binti Misnan, Prof. MCILT. TPr. Dr. Ho Chin Siong and Dr. Gabriel Ling Hoh Teck won consolation prize and received RM250 and certificate.